Metro Verdicts Monthly's graph for October – which includes, I’m proud to say, our most recent verdict in Baltimore City for over $1 million - is median settlements and verdicts in lumbar (back) disc injury cases in Maryland, Washington, D.C., and Virginia. The median lumbar disc injury case in Maryland is $74,750. The Washington, D.C. and Virginia medians settlement verdict were $199,000 and $150,000, respectively. This graph is for “lumbar disc injuries” so presumably Metro Verdicts is grouping together herniated disc, bulging discs, protruding disc and other disc injuries in the back. So you certainly have to take these statistics with several grains of salt. 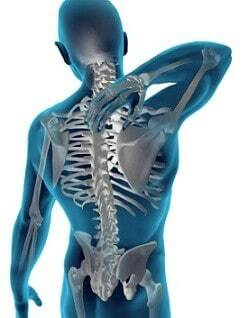 Not every back injury case will be treated the same. Some cases are worth millions and others are worth very little. To distill it down, it largely depends on (1) the extent of the injury and, (2) whether pre-existing injuries contributed to your current problems. When it comes to extend of the injury, the biggest variable is going to be whether the injury comes with diagnostic findings. If you have an x-ray, CT-Scan, MRI, or nerve conduction study (EMG). These objective, measurable injuries are the ones that get the insurance company's attention. Of course the injury itself is important. The most serious are the ones that you think would be the most serious, back injuries that lead to paralysis, bowel and bladder problmes, signficantly decreased mobility, or great pain. These are the best cases in terms of compensation value and in terms of the time it takes to get the case resolved. Many of these case settled either before a lawuit is filed or shortly after the claim is brought. Have preexisting injuries is not a claim killer, at least not Baltimore City or Prince George's County. But it does make the mountain that needs to be climbed steeper. If you want to get full value and beyond in these cases, you need to be a believable and likeable plaintiff and you need a strong treating doctors to stand behind you and support your claim. One more point on preexiting conditions cases. Most of our personal injury cases settle before we every file a lawsuit. But in these cases, you are also going to go to court far more often. If you are looking for a quickly settlement in these cases, you are going to likely be leaving real money on the table. Some people prefer that quickly money and that is fine. But the majority of our clients are willing to wait it out a little to let us do what we do -- fight like crazy to fully maximize the value of your case. If you have suffered a lumbar disc injury as the result of a car accident or truck accident, you need a lawyer that understands the medicine and mechanism of injury in disc and other spinal injury cases – particularly herniated disc cases. Call our lawyers for a free no obligation consultation. You can speak to a lawyer today by calling 800-553-8082 or online by clicking here. How much compensation can I expect to get from my herniated disc injury case? Get more information on the value of these cases and get some sample verdicts to compare to your case.